If it’s about sleep, we’re interested! The Sleep Studies is a website dedicated to all things sleep. Nine members of our core team come from different walks of life, from engineers and doctors to writers and moms. But we have one thing in common, each of us was afflicted with some kind of sleep disorder at some point in our lives. That’s why, today, we nurture an intense zest for the bliss of sleep. We stay on top of everything related to sleep, from studies and research to the nitty-gritty like bedroom design. We write and research all things sleep. We interview sleep experts, report on studies, review sleep products…in short, if it’s about sleep, we’re interested. We bring together experts in the fields to put together the most complete guides on a range of sleep-related topics, from wellness and disorders to matching the color in your bedroom. One of the more important sections of The Sleep Studies website are tests and reviews of sleep related products. Over the years, we’ve put together a team of awesome products testers. 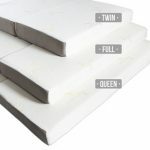 We review anything from best air mattresses, best mattress toppers and pads, best crib mattresses to weighted blankets for adults. We reviewed over 500 products to date. 94% of our readers found them helpful in making an educated choice. We add products to the list every week. We currently have 42 testers helping us make our minds about the products we test. If you an analytic mind and have a blog or a website, you can apply to be the 43rd below using the contact page below.